The 2018 daylily season was a great one, getting the rain right when we needed it most. We have added more than 100 varieties for sale in 2019, and are bringing back about that many varieties that were sold out in 2018. Please read below for ordering information and visiting the farm during bloom season. 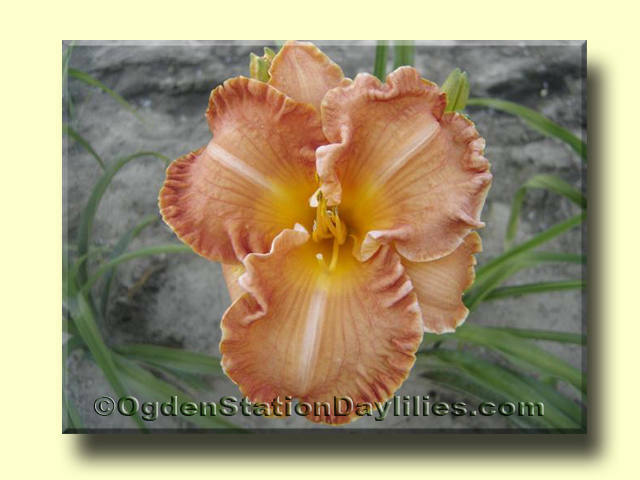 The most current soldout status is located on the A to Z pages for the daylilies, not on the pricelist link. If you are interested in naming a daylily after a person or special event, let us know when you come to visit, and Jerry will show you his future introductions and explain the process to name a daylily with the American Hemerocallis Society. Individuals and groups are welcome to visit whenever we are home from July 1-August 15. Visitors may walk the field, take photos, set up an easel and paint, or just enjoy the beauty. Please call or email to arrange a time when we are available. If you want to purchase plants, pre-order or stroll the one acre field to select, and then wait while we freshly dig them for you. We thank our visitors who made our 2018 Field of Bloom Days a great success, and hope to see you and others this year. We enjoy sharing our love for daylilies with you. We added more than 200 new varieties last year, so even if we're not selling them yet, please come to see some great new blooms and make a wish list for the future. If you are interested in purchasing plants, contact us for a time to visit our farm, or have them shipped May until October 15 directly to you by sending an Order Form (Right click on "Order Form" and select Open in New Window) and personal check or money order. When you order double fans, a third bonus fan for each variety ordered will be shipped whenever our supply allows. Although there are some grass paths in the field, most are dirt, so wear comfortable gardening shoes. The farm has been inspected by the Michigan Department of Agriculture. Click on the clump sale tab at the left to see the long list of daylily clumps on sale for farm pickup only. This is a great way to get a large quantity of plants at a low cost for landscaping. We were honored in 2010 when we were notified that we had received American Hemerocallis Display Garden status. 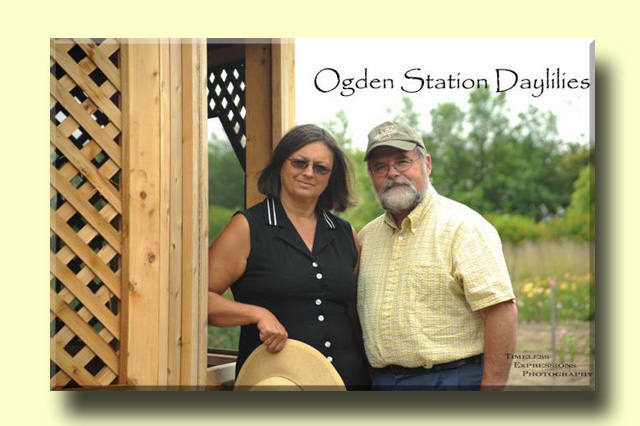 To read an article about our garden read the Adrian Daily Telegram article . If you have purchased plants from us and are a satisfied customer, please post a review for us at Dave's Garden. If for any reason you are not satisfied, please contact us and give us your feedback, so we can improve service. At this time, we are not able to ship to California, Arizona, or outside of the United States due to the additional State of Michigan inspection and certification costs.